The streets of Paddington remind me somewhat of a rollercoaster, (minus the upside down bits). Outrageously steep inclines, met by an inauspicious peak offering a moment’s reprieve, before plummeting down a sheer descent closely followed by a sequence of smaller hills, interspersed with windy roads. Driving in the area can be quite entertaining and I dare say the slopes are rather exhilarating on a bike, but to walk the streets, well that takes your breath away but more in the, I need a respirator than the optimum arousal kind of way. Despite this, during my travels I encounter many a pooch faithfully guarding their homes or pounding the pavement, which leads me to infer that, regardless of the unfriendly terrain, dog ownership is still high in the area. So what does a family or individual, shared dwelling or any other type of occupancy grouping do if they aren’t athletically predisposed but are canine keen? The answer, I believe, lies within the fully fenced and gated confines of one of Brisbane City Council’s many Dog Parks and for the purposes of this article specifically Neal Macrossan Park, Paddington. The park is more like a leisure facility than just a dog park with two playgrounds, one specializing in older children and the other, younger; picnic and BBQ facilities, a skatepark, tennis courts and Ithaca Pool all housed within its 1.24 hectares of land and shaded by some century old fig trees, making it a delightful space in which to relax. 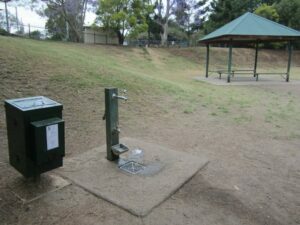 The park sits in between Hale St to the east, Chrystal St to the North, Moreton St to the West and Caxton St to the south (NB. these are only rough coordinates, the services of a compass were not employed) and is directly over the road from Suncorp Stadium. 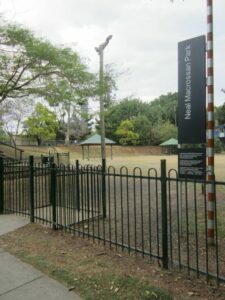 The dog park has two gated entries; the main doubled gated entry off Moreton St and another entry via a walkway off Caxton St. 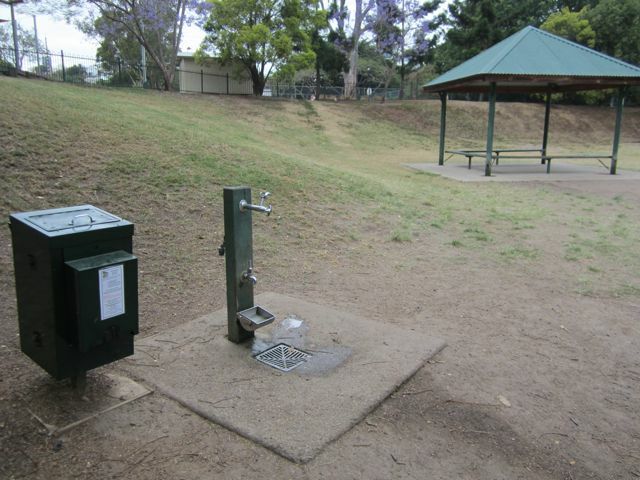 There are two covered areas with picnic tables and a few sets of benches within the grounds, along with bins, poo bag dispensers and water taps with fixed dog bowls. There’s ample space for an intense game of fetch and pockets of plantings for a thorough sniff and ‘scent’. 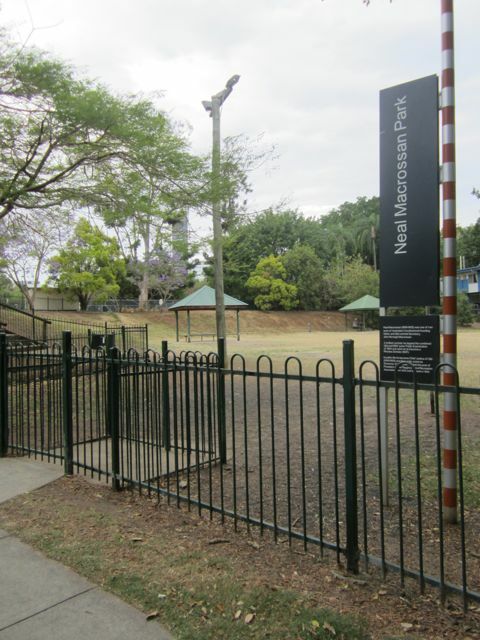 Whatever way you look at it Neal Macrossan Park offers a leisure experience for the whole family, pooch included. And all without the offense and embarrassment of being dragged, gasping for air and pleading for mercy up what seems like a never-ending hill by an overly enthusiastic dog bounding with energy.